"Stock Broker Lead" Vs an "Accredited Investor"? I wanna talk about “stockbroker leads“, and I also wanna talk about “what’s a lead broker“. We have another great website, by the way, FindaListBroker.info. And it’s gonna give you a lot of information about how to protect yourself when buying investor leads. A lot of lead guys aren’t on the up and up and, let me tell you, it’s rough out there. Bottom line is you gotta do your homework. Looking at stockbroker leads. What’s a stock-broker lead? It’s a lead. Well, what’s a lead? A lead is a name, an address and a phone number. You might wanna know: “What’s a lead broker?” A lead-broker is a guy that sells names, addresses and phone numbers. I consider myself a list-broker because we don’t buy one name at a time; we buy lists or leads. So, you gotta find your keywords. When you go to Google, you punch stuff up. There’s a lot of variations. So you’re gonna see ‘stockbroker leads’, ‘stockbroker lead’, singular, ‘stockbroker list’, ‘stockbroker lists’, and that’s what you’re gonna see, so that’s what we cover. 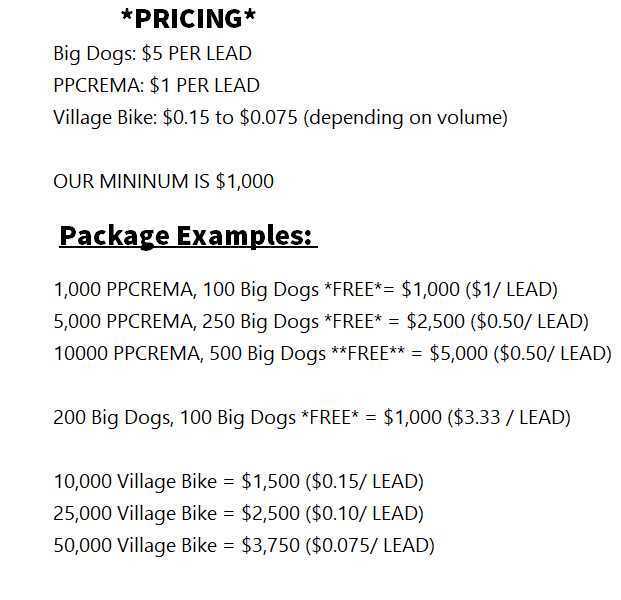 As a lead broker or as a list broker, this is what we sell. A stockbroker lead is a guy who’s interested in the stock market. He may be looking to buy annuities. He may be looking to buy blue-chip stock. But that’s what we do. Now we don’t do a lot of business with the stockbroker industry. You know, one time it was a big, big part of our business. I don’t know what’s happened to that industry, but our favorite arena happens to be the broker dealers and the people who are looking for accredited investors. Usually, you gotta be careful because when you’re after a stockbroker lead and don’t use that word “accredited”, you’re gonna end up with a $3000, $4000, $5000 or $10,000 guy and he’s not gonna play in the private placement arena. He can’t. He’s not accredited. So, hardly any of my leads are those kinds of people. I mean my people are 95% accredited investors. The qualified accredited investor has $25,000 to $50,000 minimum to invest. So if you are a stockbroker and you don’t wanna deal with a piker. Sorry guys, but a piker is a guy who can’t even afford to put $3000, $5000, $10,000 dollars into stock portfolio. My guys are $25,000 minimums. So, if you’re a stockbroker, and you’re looking for a good lead who can open up at a nice amount of money and is serious guy, he’s a serious investor that has money and he meets the accredited investor SEC qualifications, give me a call. John Fischer: 561-981-8777.